Legendary rocker and blues statesman Johnny Winter music continues to enthrall audiences the world over. With his unique brand of blues/rock guitar and vocal prowess, Winter's style is truly unmatched in purity and in star power longevity. While touring for over fifty years during his lifetime, it's no secret that his live performances are legendary. Fortunately for his huge fan base, Johnny had captured a lot of his concerts on tape over the many decades, which proudly leads us to celebrate his birthday on February 23rd with the latest installment of his chart topping Live Bootleg Series on Friday Music. 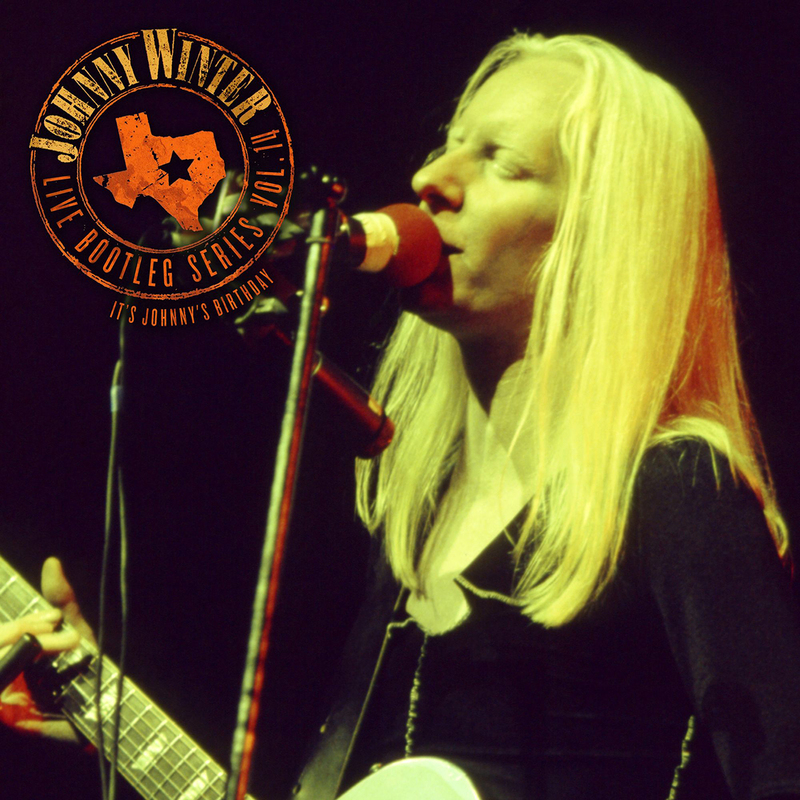 For Johnny Winter's Live Bootleg Series Volume 14 (It's Johnny's Birthday), the artist surely becomes his instrument in some incredible guitar shredding rare live performances. The blues wielding axeman steps out with super extended workouts on concert classics like his masterful version of the Jimmy Reed's classic The Sun Is Shining, fan favorite You're Humbuggin' Me and a stunning hard rockin' free for all on the blues champion Boot Hill. Always the one to promote material from his favorite bands and artists, we've included some incredibly rare interpretations of Eddie Floyd's soul classic Knock On Wood and a powerful rock balladry tip of the hat to UK Prog- Rockers' Traffic with No Time To Live. YOU MUST HAVE A TWIN (BONUS TRACK from the "GEMS FROM THE ATTIC TAPES"